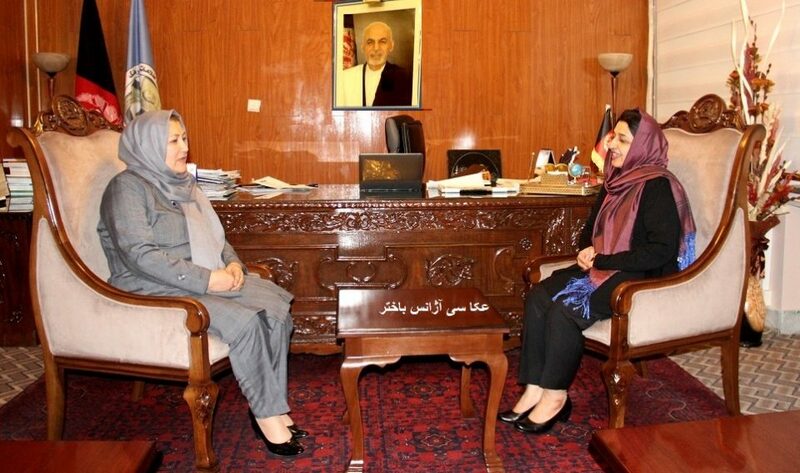 KABUL: Acting and Nominee Minister of Information and Culture (MoIC) Ms. Hasina Safi in a meeting with Minister of Counter Narcotics (MCN)Ms. Salamat Azimi discussed expansion of cooperation between the two ministries, Bakhtar News Agency (BNA) reported the other day. According to the agency, calling Ministry of Information and Culture’s role key in growing and supporting cultural and publication affairs, the minister of Counter Narcotics wished further success to acting minister of information and culture in her working affairs. She asked MoIC to enhance its cooperation in term of publishing and broadcastingthat ministry’s messages via media on raising awareness to people on harms of narcotics, BNA added. Acting minister of information and culture assured minister of counternarcotics to do her best to expand cooperation and coordination between the two ministries.